By John Murdoch on 2019-04-14 - John is regional editor for Media Scotland's Lanarkshire and Lothian titles. Three times president of the Association of Scottish Motoring Writers he has been writing about cars for over 40 years. Recently awarded lifetime membership of the National Union of Journalists and was the subject of a motion in the Scottish Parliament congratulating him on his service to newspapers. 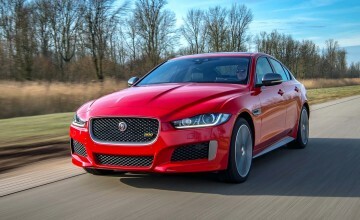 WITH a fantastic new cabin, a handsome new-look exterior and crammed with the latest technology, Jaguar's XE is now good enough to take on the best of the German opposition. Jag's Scottish design director Ian Callum is delighted with the new XE and quickly admits that it is now the car he always wanted it to be. 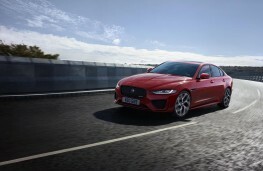 The competition in this sector is fierce with Audi, Mercedes and BMW all having a major presence but the revamped XE offers more style, equipment and tech at a cheaper price. Jaguar has also taken this opportunity to simplify its range by reducing the number of engine and trim choices in order to make things easier for buyers. 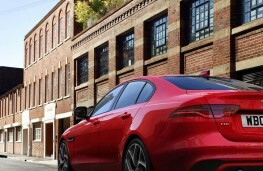 There is no change in the size of the XE but this facelift makes it look bigger and more assertive. It looks wider and lower and features a new grille and slim LED lights at the front and rear. 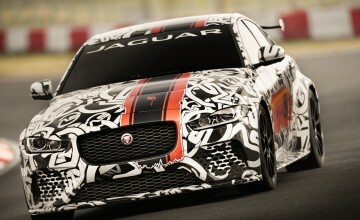 The front and rear bumpers are also a new design and they make the car look more sporting. Alternative alloys are also available and standard equipment is generous throughout the range. The entry-level model which starts at £33,915 offers automatic transmission, 18-inch alloys, signature LED lights front and rear, electric leather seats, front and rear park aid and lane keep assist. Step inside and you will find the really big changes. Sadly there is no extra space and rear room is still quite tight but there is a massive leap in quality, design, tech and materials. 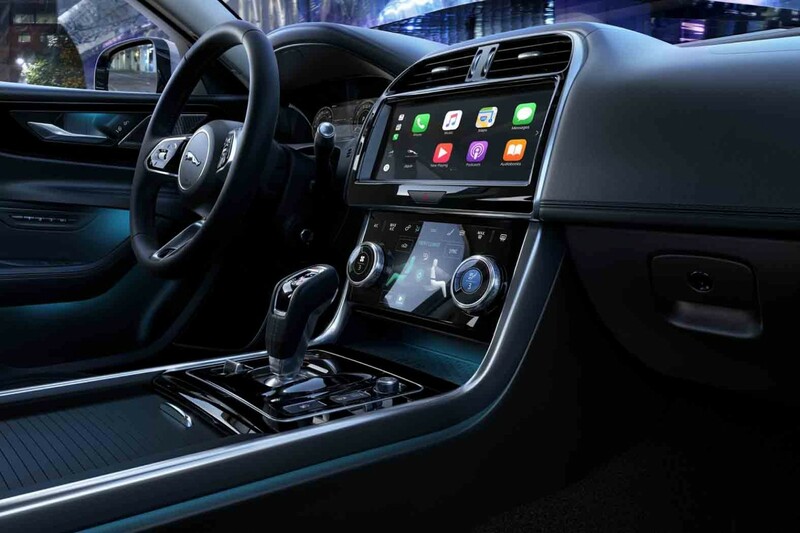 Much of the improvements have been lifted from excellent I-PACE and so there is now 10.2-inch touchscreen for the navigation and communication systems, plus another display that controls lesser functions like the climate control. 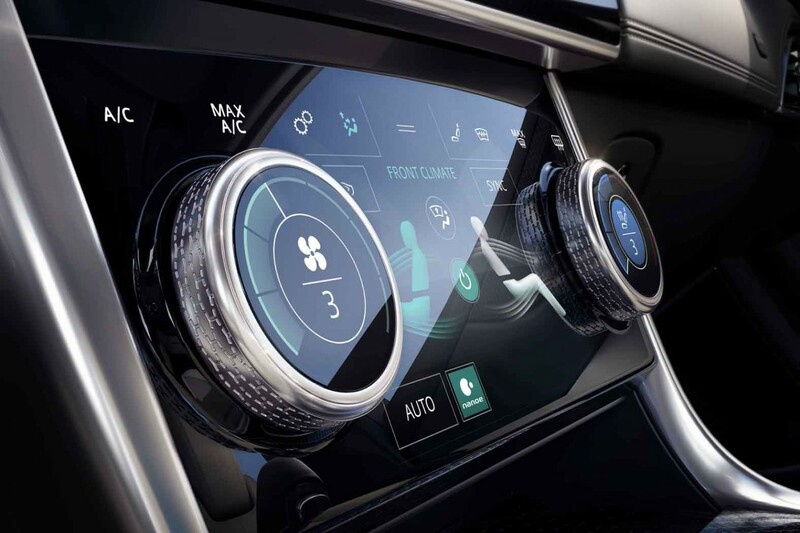 This means that you can adjust temperature and blower without having to take your eyes off the road. 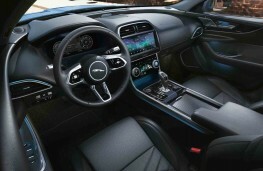 The new steering wheel is lifted from the I-PACE and an F-Type gearlever adds to the sporting feel. 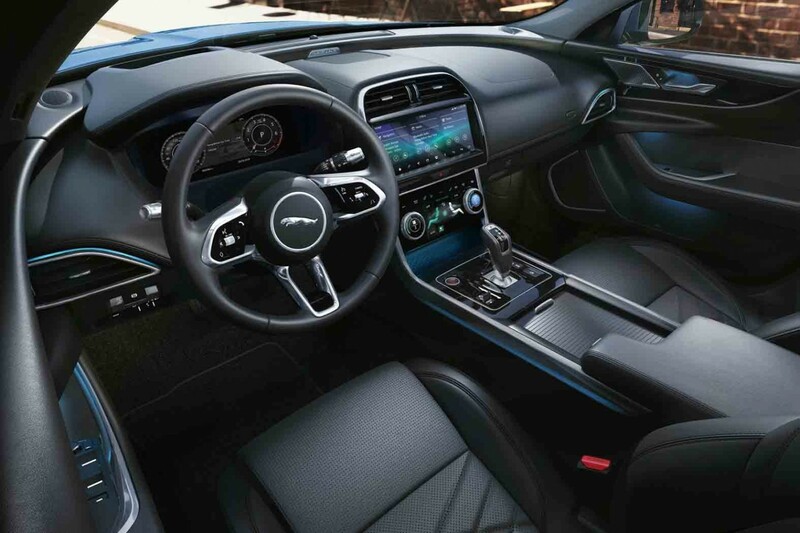 You can also charge your phone via a wireless charging pad and all inferior materials have been dumped and replaced by quality woods and soft-touch plastics to give the cabin a truly Jaguar feel. Only three engine choices are now available - two petrol and one diesel - reflecting the current buying trends and trim levels are S, SE and HSE. If you want to add extra flair you can select and R-Dynamic package for any car in the range which will give you cosmetic enhancements to the exterior and inside the cabin but no extra power. 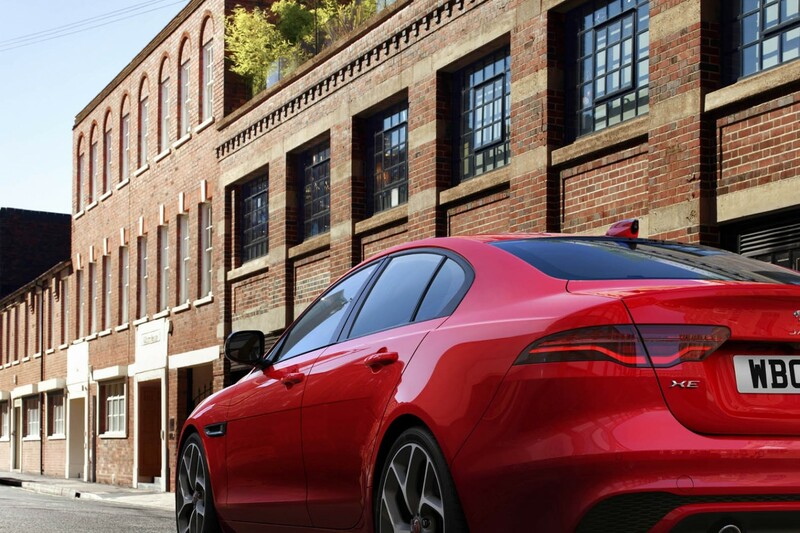 The new XE is even better to drive on the road and that should help it appeal to a much younger audience. 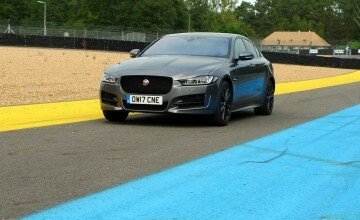 I spent hours in the South of France driving the most powerful petrol version the P300 with AWD which has 296bhp on tap. It sprints to 62mph in just 5.7 seconds and goes on to a top speed of 155mph if you can find anywhere legal to do it. On the twisting mountain roads above Nice and Cannes the XE excelled, providing a sporting ride with great handling and superb steering. It is really agile and is more than a match for any of its main rivals. Apparently this engine can also return up to 38.7 mpg but you can expect less than that when you push it as hard as I did. The eight-speed transmission moved between gears smoothly and when you wanted a bit of fun you could use the paddles to do your own thing. I also had a shorter drive in the diesel version which was still as enjoyable and very economical. With 180ps available it was no slouch and reached 62mph in 8.1 seconds with a top speed of 142mph. Quiet and smooth it is good for up to 57.6mpg and has emissions of 130g/km. It is sure to appeal to fleet and business users as well as private motorists who do a lot of miles. 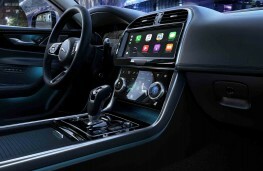 With prices on average £1,700 less than previously specced versions of the old XE the new car has much to offer and it also breaks new ground by being the first car in its class to offer an optional switchable camera view for the rear-view mirror similar to that in the new Range Rover Evoque. It takes a bit of getting used to but it works very well and transforms your rear vision. 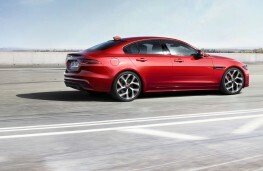 This new XE with its added luxury, leap in quality and extra technology is a bit of a bargain and deserves to do really well.